What Are The Seven Natural Wonders of the World? Mount Everest is renowned as the highest spot on earth, at 8,848 metres above sea level. It is parked right on the border between Nepal and Chinese-owned Tibet, and it is protected by Sagarmatha National Park in the Himalayas. Mount Everest’s original name in Tibetan is Chomolungma (“Goddess Mother of Snow”) and in Nepalese it is Sagarmatha. The mountain received an English name in 1865 because Nepal and Tibet were closed to foreigners at the time, so the Royal Geographical Society did not know its local names. You can get a helicopter tour to get as close to the peak as possible without actually climbing the beast, and this is what we recommend. Climbing Mount Everest is not something to be attempted lightly. The trek to base camp takes 12 days and it costs around $32,000-45,000 USD at the time of writing. It’s also not a weekender trip. It’s just over 5 kilometres to base camp, but Chinese tour groups advise it takes about 5 days to apply for the visa and permits to enter Tibet and climb the mountain once you are already in China. You then need to spend 3 days in Lhasa and Shigatse to acclimate to the altitude before attempting the trek to base camp. Oh, and if it’s snowing, you won’t physically be able to get near the mountain anyway, so delays are not unusual. 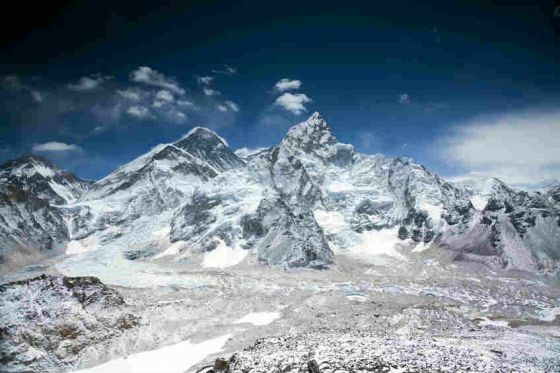 It’s uncertain whether visitors will continue to be able to climb Mount Everest in the future, as China prohibited climbing in all of Tibet in 2015 after the April earthquakes. While Mount Everest is the highest spot on earth, it is not actually the tallest mountain. That distinction belongs to Mount McKinley in Alaska, USA which is the tallest mountain when measured from above sea level. The tallest mountain in the world whose base is mostly under water is the Mauna Kea volcano in Hawaii, USA, which extends 4.2km into the air and around 6km into the sea. October-November (start of dry season) or February-April (end of dry season), as Mount Everest is safely locked away by stormy snow for most of the year. Fly into Beijing or Shanghai, then fly or train to Lhasa, the capital of the Tibet region. Canstar researches and rates travel insurance to visit China, and many insurance providers that we rate offer cover for snow sports and rock climbing. Cover to actually climb Mount Everest would require phoning up and giving them all the details to make sure you can get adequate cover. On top of this, the Chinese and Nepalese governments both require that you get climbers’ insurance before climbing. In Nepal this simply gives permission to climb, while in Tibet it covers helicopter evacuation, ranger camps, seasonal staff, and maintenance of the mountain environment. Located in Brazil, the Harbour of Rio de Janeiro is surrounded by unique granite mountains that were formed by erosion from the Atlantic Ocean. 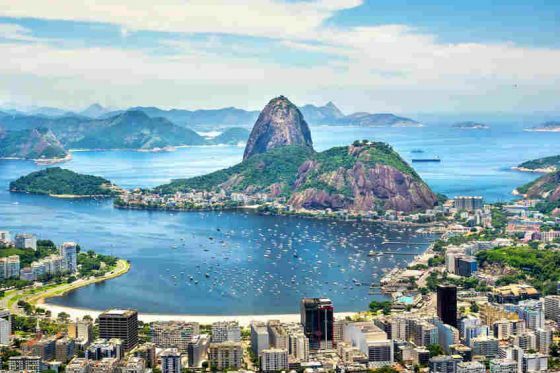 It is also known as Guanabara Bay, and is the source of the famous image of the white stone statue of Christ the Redeemer atop Corcovado Mountain, facing the sea with his arms outstretched. It is the largest bay in the world based on the volume of water and is truly a wonder of nature. The best way to see the bay is from the Sugar Loaf Mountain cable car or from a helicopter, so you can take in the full view. You can also visit the islands of the bay including Governor’s Island, Fundão Island, and Snakes Island. Sunbaking is another great way many locals use the Harbour, but we don’t recommend swimming in the bay, as it is sadly quite polluted. Olympic officials found high levels of viruses and sewage bacteria in the water after the US rowing team fell ill with various gastrointestinal viruses during their 2-week training stint there in August 2015. And of course, the 2016 Olympic Games is to be held in Rio de Janeiro! Rio de Janeiro means “River of January” in Portuguese and is the second largest city in Brazil, behind São Paulo. There’s no river there, but the Portuguese explorer Gaspar de Lemos thought that Guanabara Bay was part of the Tejo River when he arrived there in January, 1501. September-October, before the humidity seats in and while the weather is mild and dry. Easy-peasy, just fly right into Rio de Janeiro. Flights typical involve a one or two-stop changeover in Santiago, Chile and possibly in Sydney, depending on your carrier. Unfortunately if you’re a South Islander, you’ll have to stop-over at least twice. Travel to Brazil is not recommended for pregnant women until the Zika virus epidemic is contained; however, other travellers should not fear travelling there. It’s the home of Nemo, and it’s pretty close to our doorstep compared to the other natural wonders. 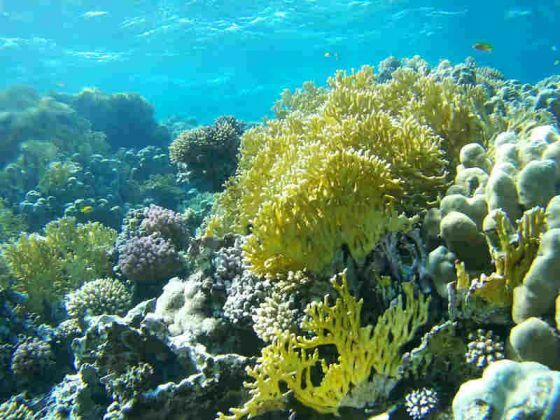 The Great Barrier Reef (GBR) is not just one big, long, connected reef; it is made up of more than 2,900 individual reefs constructed by billions of miniscule coral polyps, which are living organisms. The GBR stretches over 2,600km (344,000 square kilometres) and includes more than 900 islands. If you’re not a fan of breathing through a tube or risking the stingers, you can still enjoy the reef from a glass-bottomed boat and take in the natural wonders. There are a range of tour lengths, from a single day to an extended stay. A helicopter tour will also give you a great picture of the sheer vastness of this marine environment, and when the sun hits the reef you can see just about everything from the air. The Great Barrier Reef is listed as a World Heritage Area (Queensland’s first) and is protected by the Great Barrier Reef Marine Park, a national park. While people often claim (wrongly) that you can see the Great Wall of China from space, it is fact that astronauts and satellites have taken photos of the Great Barrier Reef from space. 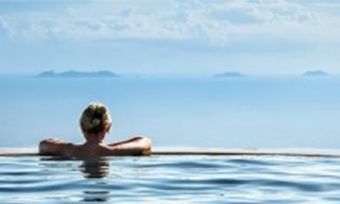 North Queensland typically has a wet (monsoon) and dry season, so it’s important that you travel at the right time to capitalise your time on the reef. July-September is an optimum time to visit before the humidity and heavy rainfall kicks on over the wet season, while October and November are considered peak diving months for the GBR. It’s also important to keep in mind of marine stingers, with the box jellyfish being one of the most venomest marine animals in the world. ‘Stinger season’ typically starts from early October and spans through to April/May. During this time, some beaches and parts of the reef are closed due to safety concerns, however, some areas remain available for use as ‘stinger nets’ are used to protect swimmers from marine life. Fly direct to Cairns, Port Douglas, Airlie Beach, the Whitsunday Islands, or Townsville. There are tours starting from almost every major city along the eastern coast of Queensland starting from Bundaberg. Canstar rates travel insurance for travel to Australia (called Trans-Tasman travel), so you’re all set there! Most of the insurance providers we rate offer cover for water sports such as snorkelling on the reef. As the Zambezi River crosses the border of Zambia and Zimbabwe, it plunges 108 metres down in a stunning waterfall that is 1.7km wide. The falls are also called Mosi-oa-Tunya, meaning “Smoke that Thunders” in the Kalolo-Lozi tribe’s dialect. National parks in both Zambia and Zimbabwe protect this landmark. When Zambia gained independence in 1964 and the rest of its geographic names were being changed back to African names, only Victoria Falls and Livingstone kept their names, because of the deep respect the Zambian people had for “their” Scottish missionary, David Livingstone. You can best appreciate the splendour of the falls from the trails that follow alongside the falls, a boat cruise, or from the air in a helicopter. From the air, you have a chance of spotting elephants or the other wildlife of the national park. 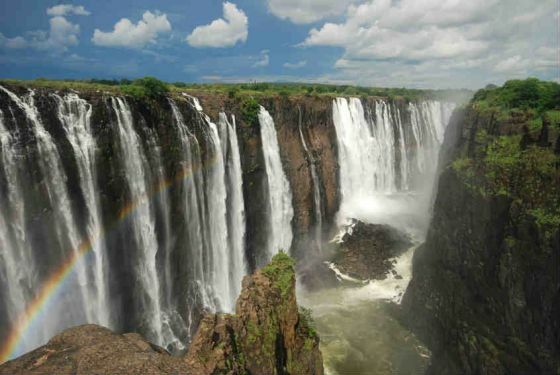 The Seven Natural Wonders organisation says the trails on the Zimbabwean side offer an 80% view of the falls, compared to a 25% view from the Zambian side. Victoria Falls is neither the highest, nor the widest waterfall on the planet, but it is the largest single sheet of flowing water when you consider both its height and width. June-July (for the “prettiest” water levels of waterfall). Most flights involve at least 3 stop-overs, with the first being in either Perth, Hong Kong or Singapore, and the second being Johannesburg, South Africa. From ‘Joburg’, you can fly direct to Victoria Falls in Zimbabwe, or fly into Livingstone in Zambia or Maun in Botswana. Parícutin is a once-active cinder cone volcano in Michoacán, Mexico. It was chosen as one of the 7 Natural Wonders because it is the only volcano whose birth in 1943 was witnessed and documented by humans. It quickly grew to three-quarters of its current size within its first year and is now estimated to be around 3km high. It erupted for 19 years solid before falling silent in 1952, hopefully never to be heard from again. 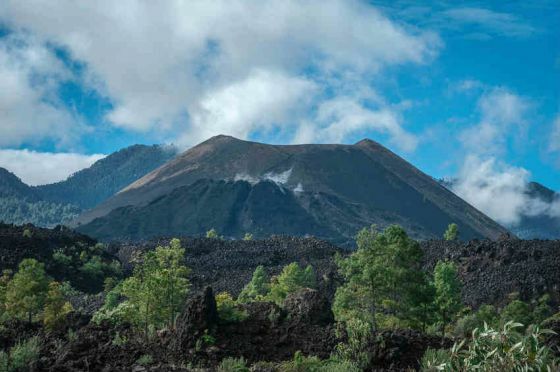 The best way to see Parícutin is by taking one of the 19km round-trip hikes to the top of the volcano. It’s not an easy hike, so the other popular option is to visit it on horseback. Both options take you past lava fields, buried village homes, and a church near the summit. Access to Parícutin is usually via Angahuan, the town that survived the volcano’s eruptions. They survived because they lived on a mountain rather than living in the valley where the volcano sprang out of the ground. Flights to Parícutin and Mexico typically involve at leats two stop-overs; one in Sydney or Honolulu, Hawaii, and one in Los Angeles. Fly into Mexico City and travel to Anguhuan by car or bus, or fly to Morelia and catch a car or bus to Anguhuan. 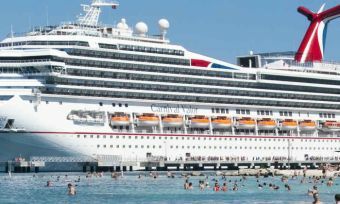 Canstar researches and rates travel insurance to visit the USA, so your best option would be to choose our five-star rated travel insurers for the USA and contact them about your travels to Mexico. This famous gorge in Arizona can be explored on foot with a day hike or overnight camping hike. For those with limited mobility, exploring the canyon on the back of a mule is a plausible option and one that visitors rave about. The floor of the canyon can even be experienced with a white water rafting trip for experienced kayakers. The Seven Natural Wonders organisation says a helicopter tour is the best way to appreciate how vast the canyon really is, but you can see a lot of the canyon no matter which method you choose. 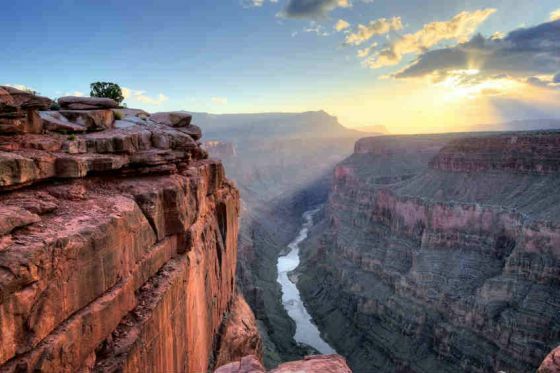 At 1.8km deep and 446km long, the Grand Canyon is neither the steepest nor the longest canyon in the world. It was chosen as a natural wonder for its overall scale, size, and beautifully coloured landscape. Debatable. In winter the North Rim roads are closed, cutting off some great views, and in summer it reaches Aussie summer temperatures. Over 5 million people visit the Grand Canyon every year, so be sure to book your travel early. Fly into Las Vegas, Phoenix, Flagstaff, or Los Angeles for a guided tour leaving from these destinations. You can also make your way to the town of Williams and take a historic steam locomotive on the Grand Canyon Railway to Grand Canyon Village. Canstar researches and rates travel insurance to visit the USA, and most of the insurance providers we rate offer cover for water sports such as white water rafting and rock climbing. Also known as polar auroras or the Northern Lights, these naturally-occurring lights intrigue everyone who sees them appear as glowing lines of vivid colour along the horizon or waves across the sky. Humans have created legends around the cause of these lights in the heavens since the days of Ancient Greece, Norse Mythology, and Medieval England. The science as we understand it today is that this effect is caused by charged cosmic particles appearing as different coloured lights as they enter Earth’s atmosphere. There is also a Southern Aurora know as Aurora Australis that occurs in the southern hemisphere, but this is less well-known. Any time of year when there are clear skies. Clouds can obscure a good view of this phenomenon. You can travel to many different places on earth to see the amazing Aurora phenomenon, including Russia, Norway, Sweden, Finland, Denmark, United Kingdom, Iceland, Greenland, United States and Canada. 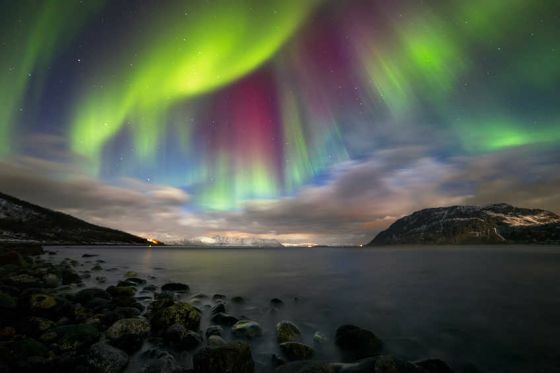 The Scandinavian countries of Norway, Finland and Sweden, as well as Canada are well-known for their aurora tourism. Canstar researches and rates travel insurance for many destinations that may bring you close to the Aurora Borealis, such as the USA, the UK, and Europe. Simply compare travel insurance on our website when you’re planning your trip. The official Seven Natural Wonders of the World organisation website also tells us there are 7 natural wonders to be found on each continent: Africa, Asia, Europe, Oceania (including Australia), North America, and South America.